Unique and creative logos contribute a lot to make your product a brand. Logo is one of most important advertising product of your company as it is the basic sign with which your company and brands are recognized in the markets of corporate business world. Logo design make your business stand out among even in the world of hundreds of companies dealing with the same kind of products and services. 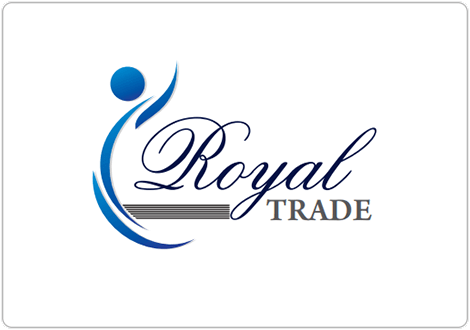 We are the last but not the least in our list because we are also one of the good brands of logo designing. Logos give uniqueness to the identity and become recognition of your company. It is the sign through which your customers and clients identify and use the products of your company. With expanding world of business and rapid emergence of new companies everyday it is very hard to create a unique recognition for your company but if you are sharp enough to create a exclusive business and advertising strategy, then no one can stop you to have strong corporate identity. We have a team of creative logo designers who understand the cores of your business and target audience instantly and deliver the logos that carry the soul of your business. We design logos which are unique and striking as we understand that. Logo is one of the products that give identity to your brand. It is as important to brand as flag is for country and logo of the company should be exclusive, attractive, thematic, symbolic and captivating. Logo is designed only once and it is forever. Changing logos don't make good impression in the market and it is very fatal for your brand identity. The best thing that we ensure in our logo designing services is to deliver you a logo that works best with the services or products that your company deals with. We understand it fully that logo should be relevant and suitable for the target market. We also strive hardly to create such logos that are striking and hard to copy and for this we use latest technology and create such a combination of graphics, symbols, letters and colors which will not only relevant to your business but also easy to identify deadline. Logo design companies in Dubai are getting famous because the need for logo design is making the market high. We are here with some of the best professional companies who know a lot about this artwork. There most of the designs stick into the mind of the user and this is the reason they are the choice of most of the brands in Dubai. In this war, some of the companies are making their name and they are on the top of our list. We will recommend them if you want a logo for your business. We are one of the market leaders of the logo designing. We are most of the time working with the bigger brands but in this game, they never forget about the smaller brands. Now we are diverting our focus to the smaller brand so that every company can have its own logo design. we are charging affordable cost from the customers to make the creative logos for their brand. Most of our logos are according to the taste of Dubai. We have a good team of the designerwho is working hard. The pricing they are offering for website design is always very reasonable plus we can easily update the logo according to the need of the brand. We have the team of experts in logo designing with the artistic mind which has the ability to make a logo as your business baseline. Get your business logo at the very reasonable rate is one of the key lines on which their products are selling. We are on top our list to provide creative and professional solutions for logo designing in Dubai. We are offering different packages for every logo so that every company can ask us for the logo designs. Our team is really professional logo designers and they are always ready to serve you 24/7. This is one of the best features of this company. Logo designers have spent a lot of years in working with smaller brands and the bigger brands so that they can have the brand identity. When it comes to affordable logo always one company come to our mind and that is Hub Sol Dubai. We are professional always try to give a friendly environment to the customers and we have the solution to almost every design if it is problematic they can solve it. The premium corporate industry is Hub Sol and we are one of the market leaders because of our ideas which are flourishing. We know how to make identity where the brands are in competition but they have the capability to excel in the field of logo designing. Our designers know all the modern techniques of logo design and they make changes according to the choice of the customer. Most of our clients in Dubai are satisfied with the services we are offering. Over 200 logos are completed by the company that is the reason they are in our recommendation list. Most of the companies never have the friendly approach but our company is the true example of the friendly approach. Here most of the designs are unique and customer-eccentric. You can ask for the logo of any industry and they will provide you what you need.